Originally announced in 2006, Eric Sherman and Bang Zoom! Entertainment have expanded from their planned single detailed interview documentary to a three-volume series covering anime, games, and animation. Voice actors, directors, casting producers, and even publishers weigh in on a wide range of subjects, answering both the novice and advanced questions. 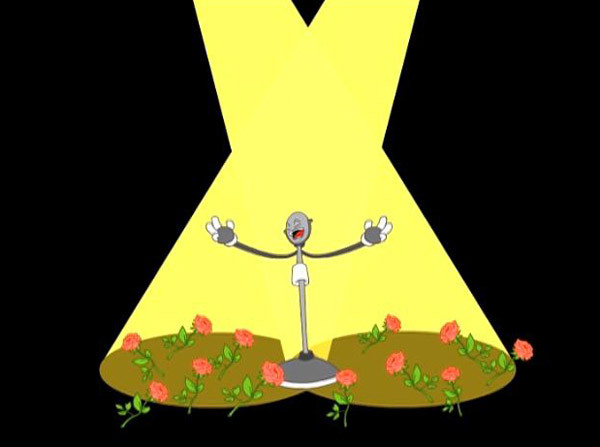 Adventures in Voice Acting: Volume One takes an in-depth look at the anime industry, from acting to dubbing to whether this is the right career choice for you. Oh, and it has Steve Blum acting silly and Vic Mignogna being directed on how to read the FBI warning. How can you not love that? Extras: Virtual Voice Actor, Words of Wisdom, Vocal Warm-Ups, Bonus Interview Question. 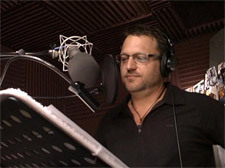 Adventures in Voice Acting isn’t just a documentary about voice-over work, it’s a bible about the US anime dubbing industry, transcending the convention panel or sit-down interview by showing the real people and the work that goes on behind-the-scenes. It’s funny, it’s honest, and it’s going to be rough at times to hear. Ever wanted to voice an anime character? Welcome to boot camp. 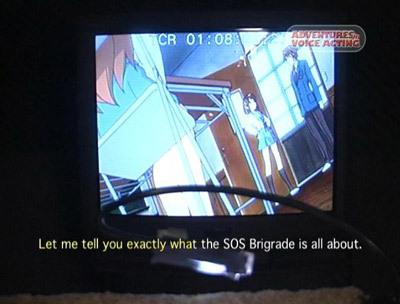 Volume One is broken into five episodes in order to cover the subjects better. 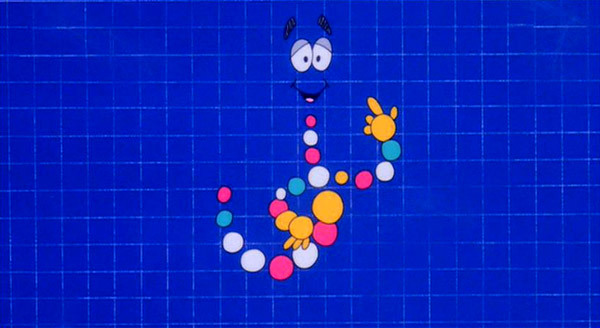 Mr. Mic, an animated character, introduces each episode (think Mr. DNA, except not as cool and no actual voice). The first three episodes bounce between numerous voice actors telling stories about their first acting jobs, what it’s like in the booth, and how to find a way into the industry. As the episodes progress, the questions move past the standard convention-panel material and into some good discussions regarding the actor’s work. Mary McGlynn explains her journey from Xena to El-Hazard while Bob Papenbrook recalls his first voice-over work for Raiders of the Lost Ark. The mood is kept fairly light and flows very well as we jump from actor to actor every 20 to 30 seconds. You meet a lot of actors that have done convention panels while managing to not include the usual handful of voice actors that seemingly hit many of the big conventions every year. It’s quite impressive for all the footwork Bang Zoom! has done interviewing in California, New York, and Texas. Is it perfect? Everyone is always going to complain that this person or that person didn’t get as much screen time as others. The lack of Canadian voice actors is probably a bigger loss in regards to stories and experience than those missing from Dallas-Ft. Worth, Houston, and Coastal Carolina. Out of the countless hours—quite possibly hundreds of hours—of footage, you can only show so much to get a point across before moving on. Episode four reveals what I believe to be the heart of this documentary and the most important reason to buy this particular DVD. There are 12 minutes of interviews with casting directors and producers. This includes Jack Fletcher, Kevin Seymour, Mary McGlynn, Sean Molyneaux, Sean Akins, Jason DeMarco, Kaeko Sakamoto, Justin Cook, Norman Grossfeld, and John O’Donnell. It’s a great resource for those wanting to break into the business. It’s a great resource just for getting to pick their brains for a few minutes. Unfortunately, Eric Sherman didn’t find a few minutes to include himself in his own documentary segment where directors give advice about the business. The remaining time in episode four grabs advice from the voice actor side and set’s up the final episode with the big question: is it worth it? Episode four and five are very frank and designed to give a deep look into what so many would-be voice actors want to do. It’s rather refreshing to see it broken down on so many levels to get the point across. 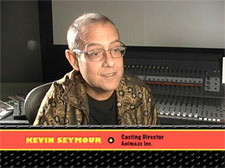 To become a voice actor takes hard work and guts! Not to mention a regular side job, constant training, living with an open schedule, and so much else. The lessons on this DVD are a requirement for every single person who asks the “how” question by email, in-person, and at conventions. The DVD extras aren’t too shabby. There’s a virtual voice actor segment for both male and female characters practicing in-studio with Tony Oliver working on The Melancholy of Haruhi Suzumiya. 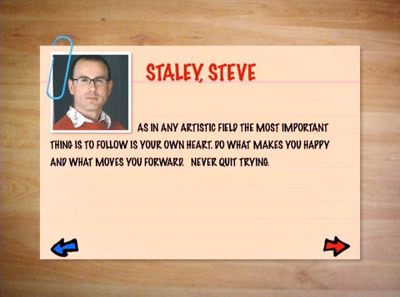 Words of Wisdom are note-card tips from actors featured and not featured in the documentary. There’s a vocal warm-up session with several actors on how to get your vocal cords ready before recording. And a final five-minute segment asks several of the actors an important question: Are you an anime fan and does it help? Adventures in Voice Acting: Volume One puts together a strong look at and series of lessons about the US anime dubbing industry. The DVD officially launches at Anime Expo 2008 at the convention exclusive price of $25 with online sales to start about two weeks later on the new Adventures in Voice Acting website for $29.95. The price is a bit steep, but if you are a huge fan of voice actors or want to get in the business then this DVD will be a must-have. Nightjar has done a great job authoring this DVD while the Bang Zoom! in-house crew has compiled and edited together countless tapes of interviews. In fact, the only noticeable error on the entire DVD is in the end credits where they place ADV Films in Dallas and FUNimation in Houston. Adventures in Voice Acting: Volume One is the right balance of professionalism and fairness about the subject without trying to toot any specific person or company’s horn. The documentary is dedicated to the memory of Bob Papenbrook.